Conveniently located across the street from the STFU Speech Therapy Clinic. ...and it's open on Wednesdays, Thursdays and Fridays. What The F*** Were They Thinking? 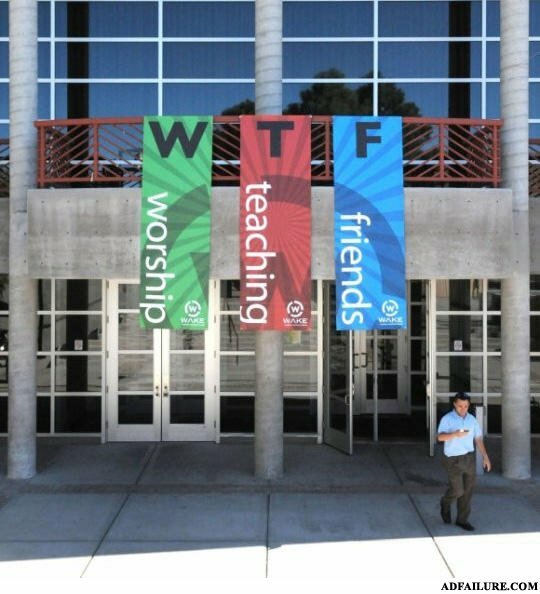 They could have at least rearranged it to spell FTW instead. Whatthefuck, there, its a w! Right next to KMA college. I like that, but why am I happy? The return of everyone`s pimps pimp!